Plan special time at our year-round lake cottage with spectacular views. Private year-round cottage on Lake Champlain, 10:00 from downtown Burlington and area colleges. You will be treated to glorious panoramic lake views, with an open-floor plan, fully equipped kitchen, outdoor grill - Cabana bar and beach fire pit. The world-class Colchester Causeway bike path is just minutes outside our door. Sleeps up to six with a queen-size bed in the upstairs-open loft, a full-size bed in the downstairs bedroom, and a new full-size sleeper sofa in the living room. Relaxation is pretty much guaranteed. Great fishing just steps out our door. Come enjoy all four seasons that Vermont has to offer! We are pet friendly, but only allow 1 dog. 2-night minimum- with the exception of July 4th week. Choose 5 consecutive days when staying during the July 4th holiday. Our family has owned this lake-cottage for more than 30 years. We have celebrated so many family milestones here, knowing that this is the best place to create memories. We would love to think that our rental guest will be creating their own family memories. Here is the combo reason...Vermont-Burlington-Lake Champlain-Bike Path- Privacy-Cozy-Family Time- Memories. 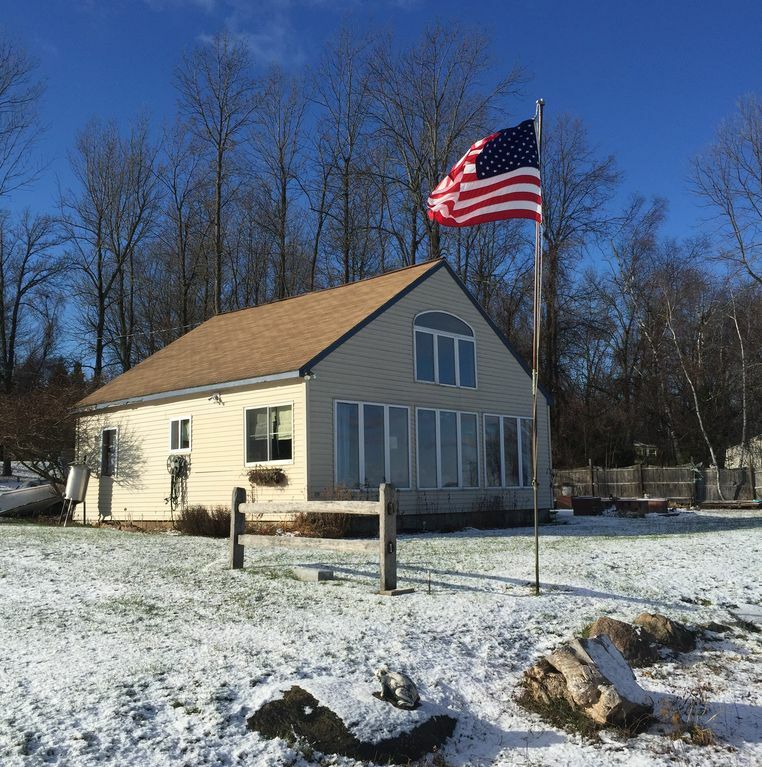 Spectacular sunrises, privacy, panoramic lake views, great fishing, year-round, footsteps to the Colchester Causeway Bike Path, family and pet friendly (1 dog only). This bathroom is small, but is a full bath, with a tub-shower combination. Stove-over combination is brand-new, purchased 11/17. Full kitchen with Keurig Coffee Maker, microwave and all pots and pans and most cooking equipment needed. Coffee for your stay provided. Limited, but fun selection that includes a fully furnished doll house, and selection of cars and trucks. Very private, surrounded by flower gardens overlooking the lake. Tennis available at the local park less than a mile away. Let us know if you are interested in playing golf locally. Well versed with the courses in the Burlington area and around the state of Vermont. There are two steps to get into the cottage. Once in there, the first floor offers a main-floor bedroom with a full-size bed. The bathroom is small and not sure if a wheelchair would fit. Lovely house on a beautiful lake. Amazing views and so cozy! Welcomed by the host's yummy scones and stunning views, we were excited to be there. We were immediately comfortable with all the homey touches. The location was easy access to the main roads and scenic bike/walking trail. Accommodations were comfortable, though a bit chilly in the second bedroom. The house was well supplied with everything we needed, including coffee. Thoroughly enjoyed our stay. Exceptional marsh, lake and Mountain View’s. Very comfortable and accommodating house, excellent owners. Wonderful location for hiking and day trips. Would definitely recommend this house to those looking for a delightful Vermont visit. We had a wonderful time hiking and biking the nearby scenic trail. The views over the marsh were beautiful and we appreciated the provided binoculars to bird watch. A terrific well equipped home to relax and enjoy time as a family. We hope to return in the summer when we can take advantage of the water crafts provided. Would give 5 stars except for the steep stairs to the loft..bad knees dont do well with them. The O'Briens are excellent hosts and provide many extras! They genuinely want to make sure you enjoy your stay! We had a very nice stay. It was wonderful to have the use of bikes and such close proximity to an amazing bike trail. We also really enjoyed having the use of the kayak and paddle board, being right on the water. Lovely grounds and nice homey touches like providing breakfast items with a delicious homemade scone. Located on Lake Champlain within an easy 15 minute drive to Burlington, you can literally "sail around the world" from our dock! Come and enjoy a secluded, picturesque vacation in Vermont.